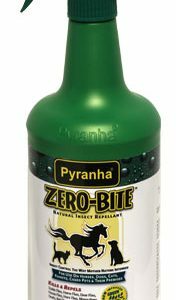 Pyranha Pyrethrin Shampoo is an insecticidal shampoo rich in coconut conditioners that aid in building body, luster and groomability to the coat of your animal. 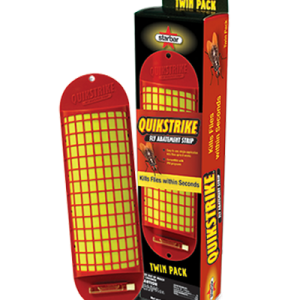 It controls stable flies, horse flies, deer flies, face flies, gnats and mosquitoes on horses. For dogs and cats it is effective against fleas, ticks and lice when used as directed. 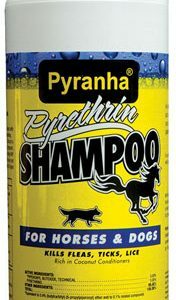 Pyrethrin Shampoo is available in the 4 oz trail-size, 12 oz or quart bottle. A pyrethrin-based formula that is applied directly on the animal. This ready-to-use product provides fly protection to the coat and imparts a high sheen to the hair when brushed out. One-to-two ounces per head per day gives adequate protection. It has been proven effective on biting flies, mosquitoes, fleas and ticks. Fly control the way Mother Nature intended. The goodness of natural products such as geraniol, clove and peppermint combine to bring you mother nature’s most powerful natural fly fighter. Discover this natural alternative to traditional fly sprays where you buy fly spray. Available in 4 oz trail size, 8 oz and quart sizes. 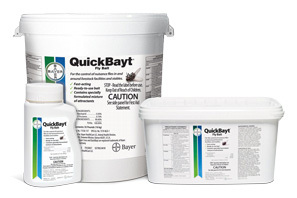 QuickBayt® Fly Bait controls nuisance flies in or around livestock production facilities, poultry houses and horse stables. 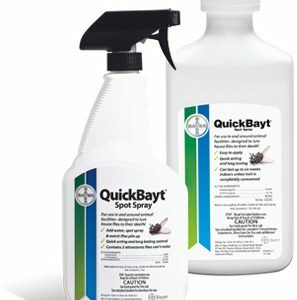 QuickBayt® Spot Spray can be applied on virtually any surface in and around hobby and recreational farms and rural environments where house flies congregate — cattle, sheep and goat facilities, dog kennels and horse stables. Repel-X Concentrate, a classic for over 3 decades, in a new ready-to-use formula. Repel-X Ready To Use is waterbased and contains natural pyrethrins and permethin. It is effective against 6 fly species, mosquitoes, gnats, fleas and ticks. Use as a spray or wipe on. The standard in fly baits for over 30 years, Golden Malrin® bait attracts and controls nuisance flies right down to the last grain of bait. The Golden Malrin® Fly Bait two-phase action knocks out nuisance flies quickly and effectively. First, Muscamone® fly attractant draws flies in. Then, as they feed on the sugar-based bait, the active ingredient methomyl delivers the final blow, killing flies after ingestion. 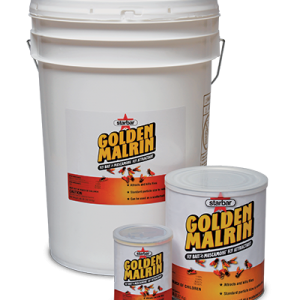 Golden Malrin® bait provides excellent control of nuisance flies for commercial and other rural applications as well as dumpsters, meat and poultry plants and more. 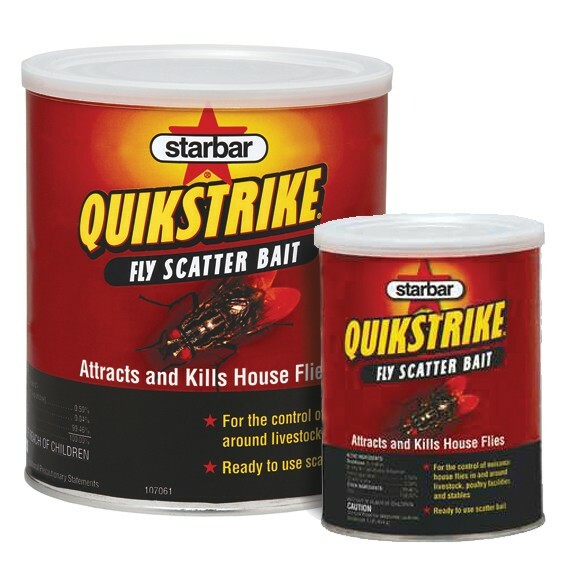 Golden Malrin® bait can be applied directly from the container or can be placed into a bait station such as the Starbar® Fly Bait Station.